My role revolves around working with emerging technology and delivering an infectious energy derived from the startup industry on the roadmap for the bank's digital journey, says Leigh Flounders. Leigh Flounders, NZTech board member is appointed head of digital strategy of Dubai bank Emirates NBD. “My move to Dubai, leading digital strategy within the financial services industry provides opportunities for New Zealand technology businesses to access that flow of knowledge, specifically relating to blockchain, institutional banking, and digital innovation within the wider financial services industry,” says Flounders, who is co-founder of Lina.Review and Smart Links Swiss. Flounders says one of the ways that Kiwi businesses beachhead overseas markets is often through existing executive networks such as Kea world class New Zealanders and the NZTech network. “As I am retaining positions on both NZ industry groups, this expands both networks further into Dubai,” he says. “Kiwis are highly connected and are constantly looking for two-way flows on information. The United Arab Emirates (UAE), and Dubai in particular, are developing faster than nearly any other global technology market." He says Emirates NBD is widely regarded as the most digitally savvy bank across the UAE. 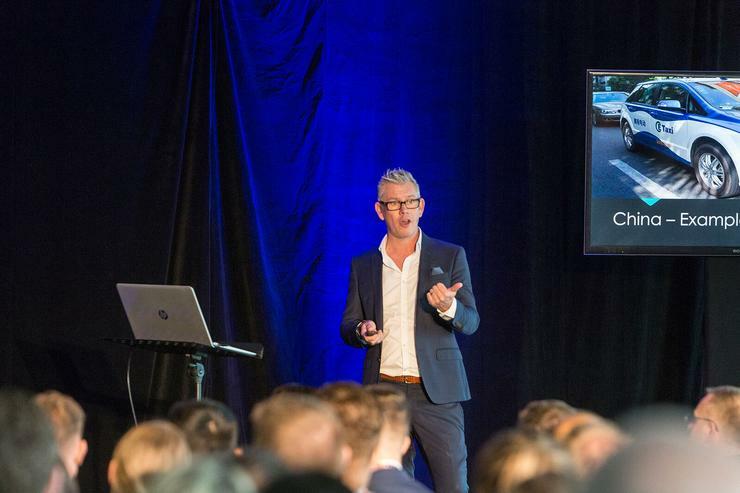 "My role revolves around working with emerging technology and delivering an infectious energy derived from the startup industry on the roadmap for the bank's digital journey," says Flounders, who was named 2017 NZ CEO of the Year by Finance Monthly Magazine. “Much of my time will be spent communicating and delivery strategic insights on APIs, open data, IOT, blockchain, design thinking and effective innovation. “I have worked, mentored, partnered and delivered products to large banks over the last decade, however it has been almost 15 years since I actually worked within a large financial services institution - the National Bank of New Zealand. “This role provides the opportunity to grow back into a corporate and witness how executives can effect change for many widely varied customers. This gives me the opportunity to take a more considered approach to the fundamental effects of change within an incumbent financial institution. “Often working in the startup space or as a corporate vendor the outcomes you are looking to achieve are very specific and linear and the effects are contained and limited to one group. 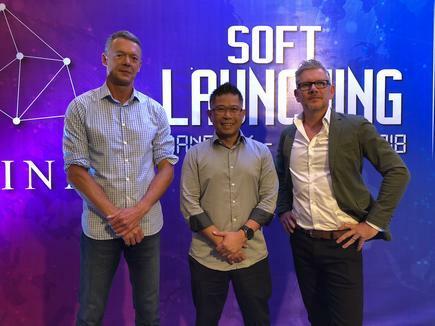 Kiwi tech business experts including 2017 New Zealand chief executive of the year awardee Leigh Flounders and NZTech and FintechNZ chair Mitchell Pham during the launch of blockchain platform Lina.review.